Finding your vocal range is extremely important in order to sing properly. In fact, finding your vocal range is one of the very first and basic things that you should determine as you kick-start singing endeavour. Note, your vocal range refers to all of the notes (starting from the lowest pitch to the highest pitch) that a singer can reach. Compared to a skilled professional singer, most of the novice singers are a bit limited in their respective vocal range. However, the best part is — your voice apparatus is quite flexible and it can be easily trained or stretched to a greater capacity. But, before that, you’ll need to identify your vocal range. In general, there are seven major voice types, such as soprano, mezzo-soprano, tenor, baritone, alto, contraltos, and bass. So, which vocal range is yours? If you are also looking for a meaningful answer to this query, then look no further as you have landed on the right page. Finding your vocal range is not a cumbersome task. In fact, it is pretty easy to determine your vocal range. And, once you determine your vocal range, you can easily learn some effective and efficient singing techniques. Furthermore, you can even expand your vocal range (with practice). • As mentioned earlier, your vocal range broadly refers to the scale of notes or pitches that you can comfortably sing (without much hurdles). You can easily hit these pitches without straining your voice. Ideally, you should stay within your vocal range (whenever you sing) in order to obtain the best results. • You can determine your vocal range simply by using a keyboard. All you will need to play a note on your keyboard and match it. Also, you should check if you are able to hit that note comfortably. If yes, then go up and down a key in order to further verify if you can hit comfortably the next note or not. • By matching notes with other musicians, you can determine your vocal range. For example, if you are in an organized group of singers, you can try to match notes with your fellow singers who already know their range. • While determining your vocal range, do not forget to stand up straight and let the air flow properly. If you do not follow this tips, you may not be able to accurately determine your vocal range. • Remember, your vocal range will grow over time. For an instance, you’ll start out with a specific vocal range. However, with time and continuous practice, the vocal range will change. • Girls, women, and young gentlemen can have a soprano singing voice range. If your voice range falls between C4 and A5, then you’re a soprano. Note, it is considered to be the highest of the standard singing voices. • Alternatively, if your voice range lies between A3 and F#5, then you have a mezzo-soprano vocal range. Note, girls, women, and young men generally have a mezzo-soprano voice range. • Oftentimes, women and children are deemed to have an altos voice range. Want to know if you also have an altos voice range or not? Just ensure that your voice range falls between G3 and E5. • Classic singers and opera singers mainly possess a contraltos vocal range. In general, this range is considered to be the lowest singing voice for any woman. However, children and men may also fall into this category. Contraltos typically have a vocal range between F3 and D5. • Tenors vocal range is mostly found among men. It has a vocal range between C3 and A4. • Note, the second lowest range is baritones. It has a vocal range between A2 and F4. In general, most women can not sing such a low vocal pitch. So, if you are a female singer and you believe that you’re into this range, then you should probably re-check your vocal range in order to make sure that you’re actually in tune. • Bass singers tend to have a vocal range between F2 and E4. This range consists of those male singers who have a very deep voice. It is pretty important and crucial to accurately determine your vocal range. Next, you should use it as the fundamental starting point to enhance your singing pitch. After practising a while (with your initial vocal range), do not forget to test your vocal range again to check if it has increased or not. 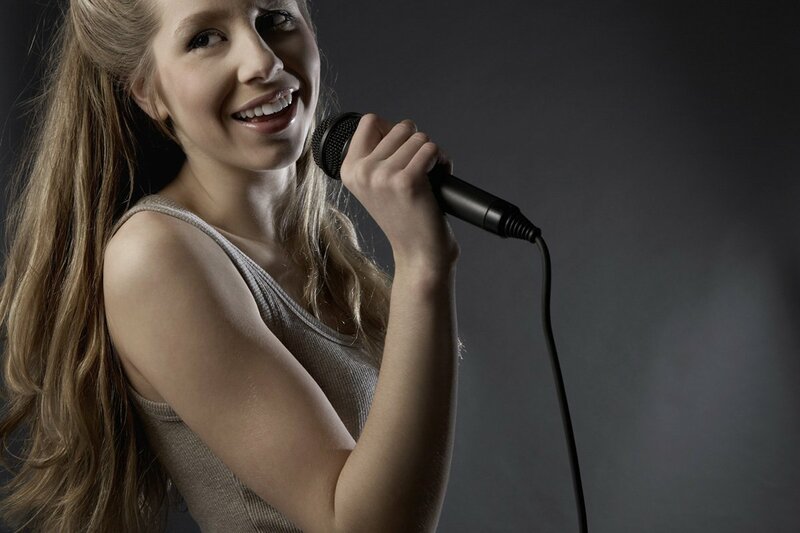 In this way, you will become a versatile singer and you’ll simply enjoy more fun with singing.